I was more than satisfied and would refer you to any one who needs it, The Technicians were Awesome!!! Thank you🦋. Christian Lohman, in my opinion, is the best technician at Terminix. He always shows up on time, is very professional and courteous, and knowledgeable. He is a great asset, and Terminix is lucky to have him. Excellent service very friendly employees. 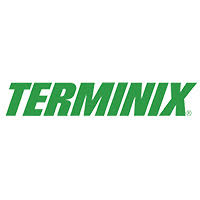 Terminix has been providing pest control and termite protection for me for almost 20 years. I am very happy with their service. Kyle was here recently for pest control and, as always, he was prompt and helpful in identifying and dealing with my pesky ant and other bug problems. I’ll always have Terminix protecting my hime. Have had no problem with rodents or insects. Thank you so much. Have been a customer of Terminix since 1997 (Bluffton, SC) to 2001. Then at present location from 2002 to present (Virginia Beach). Have always had good service from technicians. Wasn't "pleased" about the installation of additional blown-in insulation (on your file) at the time. Most probably your contractor. Otherwise am satisfied. Thank you very much, extremely pleased! My service Technician Christian Lohman was very professional, on time, and very knowledgeable. I would definitely request him and refer him to my neighbors. I'm sorry I forgot to mention the technician name, Christian Lohman was very professional and polite. Very clean cut guy. I would ask for him again. I have been very pleased with your service. As long as termites , spiders and ants stay out of my house I will be grateful. I will contact you back if I see any other problems. Thank you. Very pleased with the service Terminix has provided. I have been very pleased with your service. As long as termites , spiders and ants stay out of my house I will be grateful. Thank you. If you need moisture control underneath your house Terminex is the way to go. Got a bid for 21K. No termite treatment. Terminex 6k plus 1K for termite and ever other bug. Have had Terminex system in place for over 2 years. My house is back to best condition underneath. Highly recommend this company. Greg. He was very knowledgeable and was very detailed. Sales and installation services wer handled excellantly by Brandon W. (Five Star *****).. I was told that it would take one or two days to complete. But In reality it was five days. The problems were vaqrious from the E#quipment was not available for the job until day five. The Spraying was not done with complete coverage on the first day, this was redone on day four. The sealing of the crawl space was not completed until after it was discovered on followq up inspections. Completeness and customer servicei9s most important, in my case I am ovwr 70 years old and my Clarl space is only 17 inches high. I could, and will make a personal inspection myself after it dries out. I am concerned for other older home owners wh do not have rthe ability anbd knowledge to insure that the job will be done completely. I have made your service people aware of another customer who had this service done a while back and they are not satisfied with the results. Installation and completeness rates ons Star (*----) So sorry but supervision is a must. I have always been pleased. I’m always happy with the service we are provided by Terminix. David Perezsolis is a great technician he always goes above and beyond to make sure that we’re happy. Gentlemen were very knowledgable and courteous. They did a great job. Terminix is always quick to respond when we see unwanted bugs in our house. Prompt services. On time. Great employees! On time with appointments, polite and professional. Service has been good and only had one bad complaint when vapor barrier was installed last year. We have been satisfied with our service. Service technicians are always friendly and helpful. Yes, we receive good service. We still have bugs appear at times but you come out and provide treatments as needed. We especially appreciate yor technicians who come to service our home. They are professional, helpful and polite. And glad that Andre is back! I recently relocated to Virginia from Seattle, WA. I’m really afraid of bugs, especially roaches! My technician provided me with tips and suggestions to keep my home insect free. I have been pleased with his proactive approach. He is very knowledgeable and he calms my fears about insects. He’s takes care of every issue that arises, or that I’m concerned about. I look forward to seeing him every quarter just for peace of mind. Kyle is always on time, thorough and courteous. We really appreciate our Tech, Andre, he is very professional,knowlegable and above all friendly. He goes out of his way to insure that we are satisfied when he leaves from a treatment visit. Need to have all Techs like him. Henry von Kolnitz. Really like your service. Your service man, Nico Compres, was very friendly, knowledgeable and on time for the appointment. He did a thorough check of the outside and inside for pests. I am satisfied with the services Terminix has provided. When they have discovered an issue they have promptly treated the condition and followed up as necessary. A technician came to treat the house for a specific pest. The technician came right on time, he was extremely friendly, and efficient. I have been very pleased with Octavio and his professionalism and service at my parent's home. He was able to provide outstanding service and prices offered by Terminix and meet my needs as a customer. I will use Terminix again! great job, thorough and informative. The technician was very polite, meticulously inspected all areas from corner to corner inside and outside of the my residence.